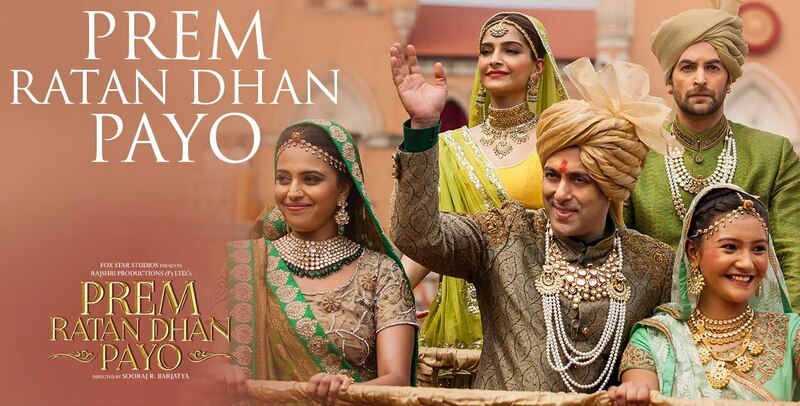 Read Sukh Dukh Zuthe or Saiyan Tu Kamal Ka Song Lyrics & Watch Official Prem Ratan Dhan Payo Lyrics Title Song Video in the voice of Palak Muchchal featuring Salman Khan & Sonam Kapoor. The song composed by Himesh Reshammiya and lyrics written by Irshad Kamil. Saccha mann ka wo kona jahaan..
Chehre pe aaye meri rangatein gulaal ki..
Laaga rang jo teraa, hui main kamaal ki..
Mujhko the ghere, jitne andhere..
=> Also Read to Prem Leela Lyrics!